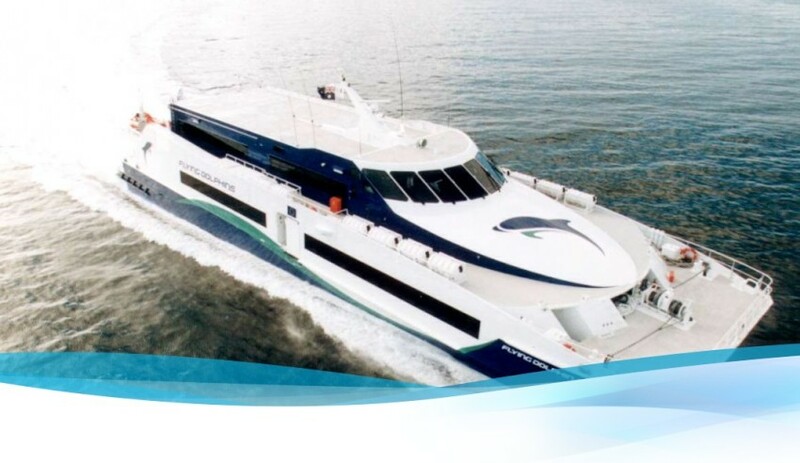 Austal's Flying Dolphin 2000, a catamaran built for Greece. Australia’s largest defence exporter has secured a $44 million commercial contract for two passenger vessels. Austal has won its first contract in Taiwan, which will see the Australian shipbuilder deliver two 550-passenger, 50-metre long, high speed catamarans for Taiwan's Brave Line, with an option for a third vessel of the same design. Austal vice president of sales and marketing Ben Marland said the company is excited to further expand on its experience in delivering ferries. "I’m delighted to welcome Brave Line as a valued customer of Austal. This contract builds on the continuing evolution of our fast ferry portfolio and reaffirms Austal’s position as international market leader for the quality of the vessels we design and build," said Marland. Austal will design the Brave Line catamarans in Australia at its Henderson, Western Australia headquarters, which Ausal chief executive David Singleton said boasts Australia's largest ship design team. "Eighty per cent of the ships we build are for export, with the design work centred at our Henderson facility," explained Singleton. "Our 100-plus strong design team, the largest in Australia, are continuing to produce sophisticated designs that deliver against challenging customer requirement. "Austal has previously indicated continuing strength in the worldwide ferry industry and this adds to our recent record run of sales achieved over the last 18 months. We have a solid construction pipeline and many further export opportunities, some of which are well advanced, for our commercial vessel business." The Brave Line vessels will be built in the company's Philippines shipyard. So far, the shipyard has delivered 10 vessels for five international customers during the last five years. Austal recently announced its intention to expand capacity in this shipyard through a US$30 million investment in new infrastructure. The expansion is intended to cater for an increase in new orders already achieved, with further orders expected in the next 12 months.